We recently attended “Celebrating the Art of Travel with TravelStart” event, arranged by the Travel Massive Cape Town Chapter and hosted by TravelStart in Cape Town. To match the Art theme, attendees were asked to visit doodle Stations arranged by 1000drawings.org where guests were encouraged to doodle their interpretation of the theme “The Art of Travel”. We love what 1000 Drawings stand for, check out their innovative way to raise money for charitable causes on the link above! While our doodling skills were put to the test, we were treated to the entertaining story by Stephan Ekbergh (CEO) of how TravelStart came about and Linda Balme (Head of Direct Sales) who assured us that while digital is probably the fastest growing segment, there still is very much a place for the traditional travel agent in global travel. 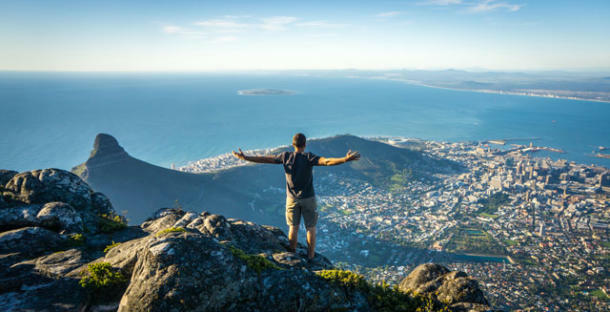 The Cape Town travel market is growing year on year and an interesting private conversation that came up was the question of whether AirBnB and other short-term rental channels in the market are creating a shortage on longer term rental properties here in Cape Town. We know our friends over at Home Sharing SA are actively looking at engaging local government to try and help manage the conversation (more on that soon). In our opinion, at the rate of which South Africans are moving to Cape Town from other parts of the country and Internationals immigrating here (with stronger currency), it’s not just a case of short-term rentals that are to blame, but it’s a good idea to keep the conversation channels open to find an amicable solution in the long run to manage longer term rental demands. Douglas Green Wines supplied their Brampton Sauvignon Blanc, Brampton Pinotage, Bellingham Homestead Chardonnay and Bellingham Homestead Pinotage.